The perfect product for a long-term illumination of medium to large sized working areas. 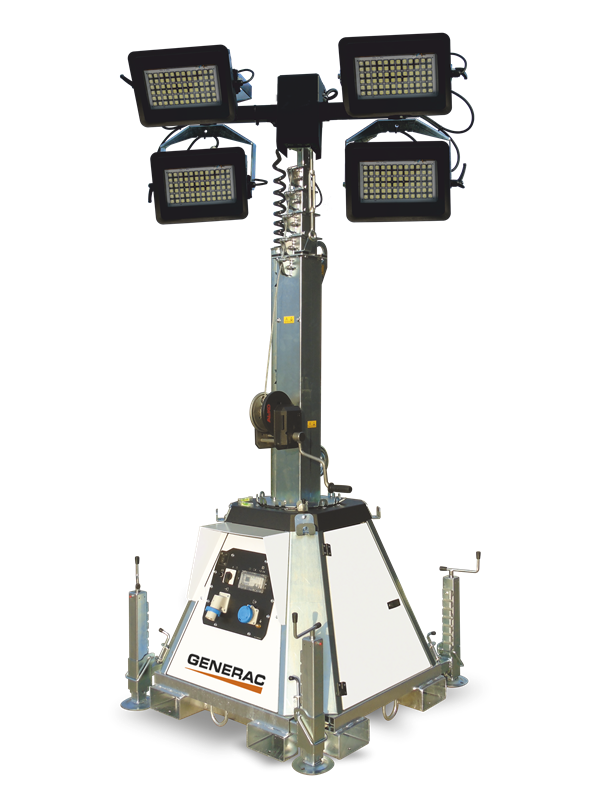 The CTF 10 light tower a very compact model with the highest mast of the range: up to 22 units can be loaded on a single truck, but at the same time the 10 meters height mast ensures high illuminating coverage. The CTF 10, thanks to its 10 meters height mast, is the highest model of the standard range, ensuring a very high illuminating coverage. Choose the lamp type you prefer between 4x185W LED or 4x320W LED floodlights. With the optional “kit Link”, the user can connect different CTF 10 in series to a single power source, providing an high illumination area with reduced fuel consumption. Since it is powered by an external power source, the CTF 10 is a perfect solution when it’s necessary the illumination of wide areas with low noise or low CO2 emission requirements. The new CTF 10 has 3 lockable access doors to easily reach the inside of the body for documents and tools storage. New design! Now the CTF 10 is equipped with central lifting hook and forklift pockets for safe and easy handling.